APS is a member of BROWZ, which demonstrates our commitment to safe workplace practices and business excellence. BROWZ is a nationally-based safety auditor that prequalifies, assesses, and monitors contractor compliance based on the unique needs of their customers. Their qualification process ensures that supply chains are safe, and that qualified and socially responsible companies are delivering a comprehensive list of objectives. APS and Colorado Sheriffs have teamed up in their PARTNERS for PROGRESS. We have been recognized for our continued support, as a five year member, in working towards a common goal to strengthen law enforcement. APS has been a member since 2005. APS is one of nearly 400 construction-related firms in Colorado joining together to help improve the construction industry. 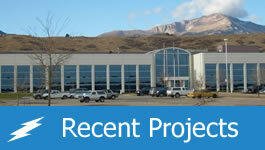 As a member of the AGC of Colorado we are also a member of the Associated General Contractors of America. This gives us the benefit of AGC of America’s 90 years of experience representing the interests of the construction industry. Connect with owners, contractors, suppliers, lawmakers, the media and key influencers in the industry. Access innovative training and education programs to build our business, improve our bottom line and grow our work force. Put innovative market development tools to work for our business. Know the latest industry trends and forecasts. As a member of the 7×24 Xchange Rocky Mountain Chapter we are provided informative and educational programs and also have the ability to participate in educational forums regarding facilities critical infrastructure. Keeping abreast of the latest developments in infrastructure reliability by collecting and disseminating statistics, case studies, guidelines, practices and standards. Serves as an open forum to present topics relevant to infrastructure reliability. Awareness towards related developments in allied professions and market sectors affecting end-to-end reliability of mission critical facilities especially the total convergence of technology. 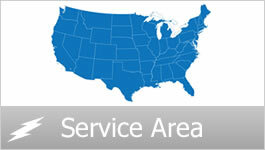 Visit the leading DC power product and battery vendors. Attend battery seminars to learn of the latest advancements. Listen to panel discussions given by the leading authorities in the field. Participate in breakout workshops specifically geared for industry segments. 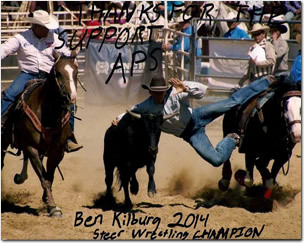 APS is a loyal supporter of high school rodeo. We would like to congratulate Ben Kilburg, who was the Wisconsin State High School Champion in Steer Wrestling. He also qualified for the National High School Finals Rodeo in two events: Tie-Down Roping and Steer Wrestling.